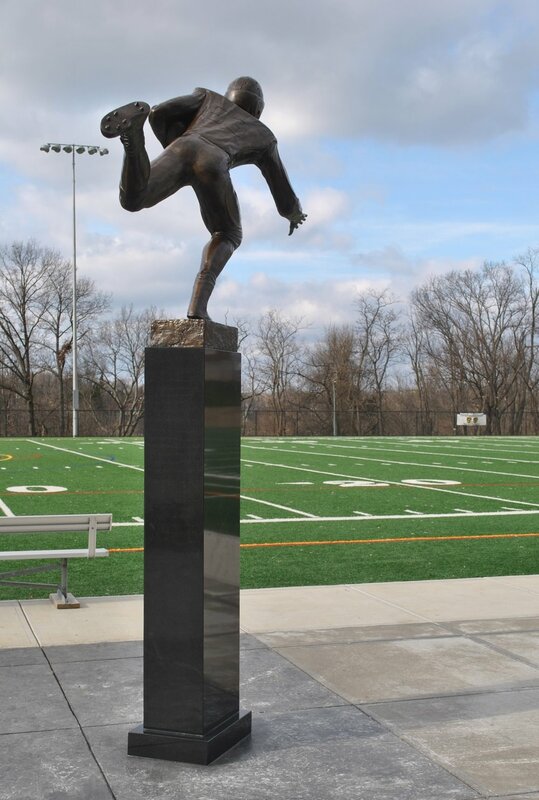 I made this life-sized, bronze, 1940's era running back for Walnut Hills High School, my alma mater. It wascommissioned by Bob & Marty Christopher, also alumni. The pose is meant to inspire an onward-and-upward feeling--"Sursum ad Summum" is the school’s motto. As a surprise to Bob I put his number from his playing days, 53, on the uniform. Bronze. Life Size plus 6 foot granite base.